The Parent Council part-funded the fantastic murals last session. Parent Council helped school to pay for local mural Artist, Tom Ewing, to come and do workshops with all of the P1 & P2 classes as well as work with pupils to paint the murals. This year we are hoping that the Parent Council will help to create an Outdoor Classroom in our Quiet Area, by buying recycled benches, outdoor whiteboards etc. – With thanks to Mrs T King for update regarding school grounds 2014/15. Pupils, parents and teachers have undertaken a number of projects in the past in the enclosed central courtyard garden. There are a number of distinct areas. The large grassed area has fruit trees, including apple, pear and plum trees; a willow tunnel and lovely large pond, which is haven for wildlife. The remainder of the garden is divided into a number of plots. One plot has well established trees and shrubs. Another plot has raised beds, used by P1-2 pupils. The adjacent plot has a circular mini-garden with curved flower beds and seating. A number of volunteer parents (including Steph Collishaw and Morag Haddow) have undertaken maintenance work (weeding, pruning etc.) on these plots. The remaining three plots had become overgrown and required attention. A greenhouse is on the paved central area and a large shed and plastic storage units are located near the edges of the garden. The DPS Gardening Club is operated by P5-7 pupils and a core group of committed parents, actively supported by the school’s Janitorial Team and Management Team. We are encouraging more parents, grandparents and keen gardeners to become involved. As the number of parents involved grows, we hope to extend the lunchtime gardening sessions to other year groups. The Nursery Unit is currently developing its own Gardening Club and we hope that as more pupils, parents and teachers become involved, we can maintain the developing plots and beds to a high standard. The Gardening Club for pupils was established in the autumn of 2008, when a parent, Frances Soutar, started a lunchtime gardening club with P5 pupils, so that pupils could learn about growing plants and vegetables. They cleared two of the plots, planting vegetables in one and wildflowers in the other. They also grew tomatoes in the greenhouse. Due to the numbers of pupils who wanted to garden, Frances then asked Dee Davison to help her with this lunchtime club the following year. Our objectives were to rejuvenate these three plots so that pupils could further enjoy the outdoor learning experiences offered by this fantastic environment. Weather permitting, P5 and P6 pupils worked outside during Thursday lunchtimes, growing their own vegetables and flowering plants and some of these were sold at the 2010 School Fair and £75 was raised. • Plot 1 – Maritime Garden: As the largest of the three plots is significantly shaded by the overhanging school roof and the soil was thin and poor, it was decided to turn it into a Maritime Garden, inspired by our wonderful coastal location and the legacy of John Muir. 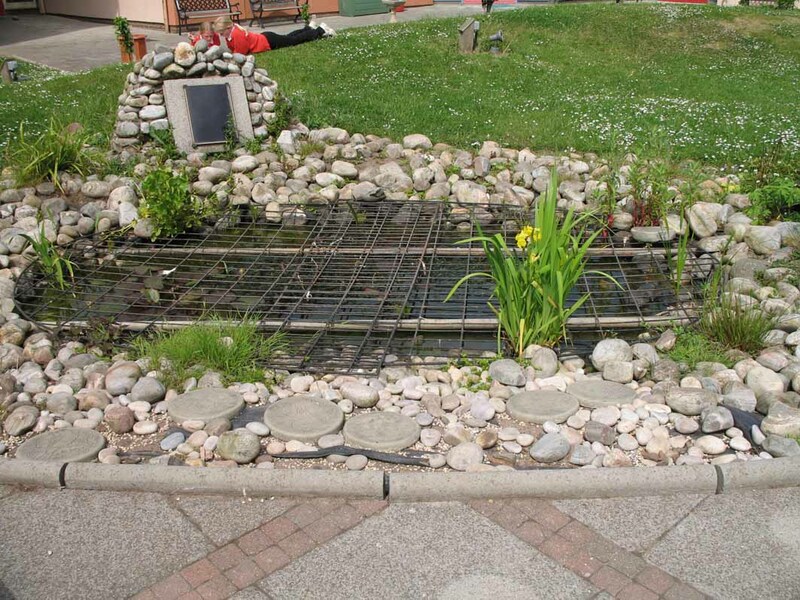 It was weeded, the topsoil was removed, weed suppressing membrane was laid and 6 tonnes of rock (donated by Lafarge) was use as infill and this was top dressed with cobbles and pebbles (donated by Border Aggregates). A beautiful donated wooden boat sits on the bank of shingle, and native coastal species will be planted amongst the cobbles in spring 2011. In November 2010, Frances Soutar contacted Torness Power Station and their Balfour Beatty Joinery Team very kindly volunteered to undertake all the work required to rejuvenate the wooden boat. The boat was taken out from the central garden in January 2011 and they provided a lorry to transport it back to their workshop at Torness, where they will remove and replace all the rotten wood, fit a self-draining wooden floor and a folding mast, as well as adding seating shelves around the inside edges of the boat. They will then paint it and their sign-writer will paint on the new name, once the P5 and P6 pupils have chosen it. The boat will be returned early in the spring of 2011. Then pupils from throughout the school will get creative and make stunning weather-proof sails and bunting and other maritime inspired materials to decorate this area. The boat could then be used as an outdoor reading space and we hope to establish a programme of visiting local people who work / have worked on the coast or at sea, to talk about their work, experiences and to tell stories. Ultimately we would like the garden and school to become a venue for the Scottish International Storytelling Festival that happens annually in October. • Plot 2 – 6 raised beds: This plot, used to grow vegetables in 08-09, was found to have poor soil so it was decided to build 6 raised beds. The janitor, Ibby Robertson, kindly used pressure-treated wood (cut to size and supplied at discount by Tyninghame Sawmill) to build 4 raised beds and will build the remaining two this winter. Topsoil from the maritime garden plot was used to fill these beds and the 3 huge cobble delivery bags. A variety of vegetables were planted, with mixed success. Tomatoes and plants were successfully grown in the greenhouse. Plants sold at the 2010 School Fair raised £75. Over 20 jars of green tomato chutney were made and given to the Gardening Cub parent volunteers and pupils. • Plot 3 – flower bed: The third plot was used to store the excess topsoil from the maritime garden plot and was planted with pumpkins and wild flowers. • Picnic tables and compost bins: Three compost bins and three picnic tables were bought and constructed. • Funding secured: Pam Clark successfully secured two £250 grants from Grounds for Awareness in October 2009 and October 2010. 1. A wooden traditional boat, half a wooden boat, and a dinghy were donated to the garden. 2. Crew from the RNLI Lifeboat and Sea cadets delivered these boats. 3. Lafarge donated 6 tonnes of rock to use as infill in the maritime garden plot. 4. Thomson’s Lorries donated the use of a lorry and 2 staff to deliver this rock. 5. Haddington Plant Hire donated the use of a track barrow to transfer the rock from the delivery point in the school grounds to the maritime garden plot. 6. One of the lorry drivers, a parent, volunteered to drive the track barrow. 7. A group of eight parents volunteered to dig out tonnes of soil and back fill it with the donated rock, as well as constructing the 3 picnic benches and 3 compost bins. 8. Tyninghame Sawmill provided the pressure treated wood to construct the 6 raised beds and gave us a generous discount. 9. Border aggregates donated 2 tonnes of cobbles and pebbles, from the Moray Firth (worth ~ £250) and delivered from the storage depot on the Isle of Arran. (The Lancashire company owner’s grandchildren attend Dunbar PS) 10. Haddington Plant Hire donated the use of a track barrow to transfer the 3 bags of cobbles and pebbles from the delivery point in the school grounds to the maritime garden plot. 11. A group of four mums and some super keen pupils volunteered to transfer the cobbles and pebbles from the bags into the plot. 12. As a result of appeal posters put up around the town, local businesses and residents have donated compost, seed trays, plant pots, seeds and plants, including Home Hardware, Crafty Stenhouse Plants and the Rural Institute. 13. Smeatons Garden Centre donated a variety of plants, after a visit from P1 pupils and Mrs Clark. 14. The support of the Balfour Beatty Joinery Team at the Torness Power Station has just been secured (Nov 2010) who will undertake all the renovation work required for the wooden boat. 15. The Countryside Ranger, Laura Douglas, has worked tirelessly with us throughout the year and helped generate the wider business support we’ve achieved so far. 16. The Janitorial Team at the school have been extremely supportive and Mr Robertson, the Janitor, has constructed 4 of the 6 raised beds. 17. The school’s Management Team and teachers have enthusiastically supported the project and two Depute heads (Mrs Clark and Mr Mackenzie) have been out working in the garden with the P5 & 6’s on Thursday lunchtimes. 18. This club and this project would not exist without the enthusiastic and dedicated interest and practical help of the P5 & 6 pupils and the core group of five parents who come in on Thursday lunchtimes to work with the P5 & 6 pupils and at other times to undertake general maintenance work. We have been stunned and delighted by the fantastic level of community support that we have received. We are confident that by building on this success and working closely with the developing Dunbar in Bloom Group, Sustaining Dunbar and the Dunbar Allotments, that we will generate ongoing active, practical and financial support for this exciting, visual and appealing project. We intend to encourage family involvement in the school gardens, growing flowers, fruit and vegetables. We are also building strong links with the local gardening centres (Crafty Stenhouse Plants, Smeatons & Merryhatton) and hope to extend this further. Pupils that have been involved since P5 wished to continue to gardening so in our third year, we operated the Thursday lunchtime gardening club with two sets of pupils: P5 and P6 pupils worked on the three plots in the central garden (Frances Soutar took the lead) and P7 pupils created 4 new boat beds and planted climbers at the front of the school (Dee Davison took the lead). Due to the limited number of volunteer adults able to come in on Thursday lunchtimes (total 4), we alternated these two groups, so each met fortnightly. Huge thanks to Frances Soutar, Matt Gringe and Cindy Stevens for all their hard work last school year. • P7 Legacy Garden at the school entrance, funded by a Civic Pride Award of £1,500 Building upon the successes of the P5-6 Gardening Club and what it has achieved so far, and inspired by the developing Dunbar in Bloom Group, we decided to create new planting and beds at the entrance to Dunbar Primary School, to soften the boundary of the school and to create a colourful, themed and welcoming area at the entrance to the school. This school is the heart of this family-focused community and with such a large population of pupils and a very committed parent forum, there is real desire to reflect the pride we all take in this outstanding school by improving the school grounds, so that they are more aesthetically appealing. The pupils are inspired by our wonderful coastal location and the environmental legacy of John Muir. The entrance boundary of the school is functional but has great potential to showcase the ‘green’ and environmental interests of the pupils and wider community. We wished to create a series of themed flower beds, where some planting would be permanent and some would change annually. As the Lighthouse Board is celebrating the centenary of the Bell Rock Lighthouse in 2010, and this area of East Lothian has many special lighthouses, we have decided to use lighthouses as the first theme. An application was made to East Lothian Council’s Civic Pride fund in March 2010 for £1,500 and this was awarded In April 2010. The cheque was received in September 2010 and a Dunbar Primary School Gardening Club bank account was then opened. We had been intending to construct angled ‘raised’ beds at the front fence but we realised that we could use boats from North Berwick Harbour that had been damaged by the spring storms. The Harbour Master kindly agreed and George Purvess from Oldhame Farm organised the donation and delivery of four plastic dinghies in August 2010, so that we could create a “flotilla of four flower beds”, located along the front fence, between the main double gates and the corner near the Hallhill – Countess Road crossing. Pupils in the Gardening Club from the four P7 classes designed the planting for the four boat beds. In the autumn 2011, the current annual planting design will be replaced with perennial plants. We also wished to soften the existing fencing inform of the boat beds by planting a wide variety of flowering climbers along the length of the fencing between the existing main double gates and the new gate, to be installed during the summer of 2011, at the corner with Countess Road, close to the Hallhill crossing. Sections of green mesh have been secured to the school fence behind each climber to facilitate tying in and to support their growth and spread. These climbing plants will require minimal management, focusing on annual pruning as required and tying in to encourage dense and even cover. Money from the Civic Pride fund was used to purchase sheets of marine plywood and paint. Local artists (who have children at DPS) designed giant lighthouses outlines on the sheets of marine poly (~8ft high by ~ 2ft wide). The Balfour Beatty Joinery Team at Torness very kindly agreed to cut these out. They have had 2 coats of paint in late June but require at least 2 more coats by parent volunteers before they can be mounted on the outside of the school fencing as decorative hoardings. Plans to install bike racks for parents outside the boundary fence of John Muir Campus are currently being investigated to ensure that the paintwork on the lighthouses isn’t damaged when they are installed. Due to the location of the proposed new garden at the entrance of the school, it will be very visible from the Bleachingfield and due to the plans for developing this area, with the new Community Centre, Library, playground and car park, it will be enjoyed by increasing numbers of people, both residents and visitors to the town. We had intended to apply for separate arts funding to bring in an artist in residence to work with pupils creating new art works with a lighthouse theme. We had hoped to build a modular lighthouse, with each class within a year group involved in creating a module. These would be stacked and connected to ‘build’ the lighthouse and we hope that the Lighthouse Board will provide a working light and a Lighthouse Engineer to fit it. However, due to this school year being especially busy for the P7 pupils and the parent volunteers, it was not possible to manage this project this year but we hope to undertake in the future. 1. New front garden – P7 Legacy garden • 17 August 2010: North Berwick’s Harbour Master and George Purvess from Oldhame Farm organised the donation and delivery of four plastic dinghies, which were temporarily stored within the central garden. • 27 August 2010: Planning meeting with East Lothian Council’s Amenity staff: Andrew Hogarth and Gordon Whitelaw. • 7 September 2010: Planning meeting with and Biodiversity Officer: Stuart Macpherson. • September 2010: Martin Keys from McLaughlin & Harvey (the construction company building the new school ‘Lochend’ campus) kindly offered to save the topsoil removed. • 8 October 2010: Dee Davison & Frances Soutar spoke to the whole school assemblies about the Gardening Club. • 26 October mid-term holidays 2010: Gordon Whitelaw from ELC kindly arranged for a council digger to come along and scrape out the positions for the 4 boats along the front fence. This meant that he was there to approve the locations of the boats to ensure lawnmower access etc. The four boats were moved from their temporary storage in the central garden out to their final locations at the fence. The scraped out soil from under the boats was used to stabilise their undersides. • 4 November 2010: Gordon Whitelaw from ELC kindly arranged for this soil to be delivered to the ELC Depot on Spott Road and then arranged for the required amount to be delivered to the school. He provided a digger and this was used to fill the four boat beds and finish the stabilisation banks around the undersides of the boats. • 11 November 2010: A variety of spring bulbs (~300) were purchased locally (dwarf daffodils and narcissus, crocuses, grape hyacinth and hyacinth and planted by P7 pupils and parent volunteers in the soil banks supporting the undersides of the 4 boats. Gordon Whitelaw from ELC kindly arranged for turf to be cut and delivered and his team expertly laid the turf to cover the banks of soil around the boats and they did a fantastic job. • 18 November 2010: Hessian-backed carpet was obtained from the Dunbar Recycling Centre and will be used to cover the soil until they planted up in February- March 2011. • December 2010: The P7 pupils began to develop the designs for the four boat beds. Ideas include designs with lettering (inspired by the carpet bedding in front of Dunbar library), a bulb bed that would flower from early spring into autumn and a red and white ‘peace’ bed. The P7 pupils also considered which climbing plants should be used and suggestions included many varieties of clematis, honeysuckle, jasmine, passionflower, perennial sweet peas, wisteria, climbing potato (Solanum) and Campsis radicans. Staff from East Lothian Council’s Landscape & Countryside and Amenity teams came in to the school and worked with the P7 pupils, introducing the basic principles of planning design and plant selection to the pupils. Pupils also visited local garden centres to see the plants that they were interested in using. • April 2011: The bedding plants and climbers were selected and ordered. The climbers were planted along the school’s boundary fence, kindly helped by local Amenity staff from East Lothian Council. • May 2011: The 4 boats were planted up as per the four P7 classes’ designs. 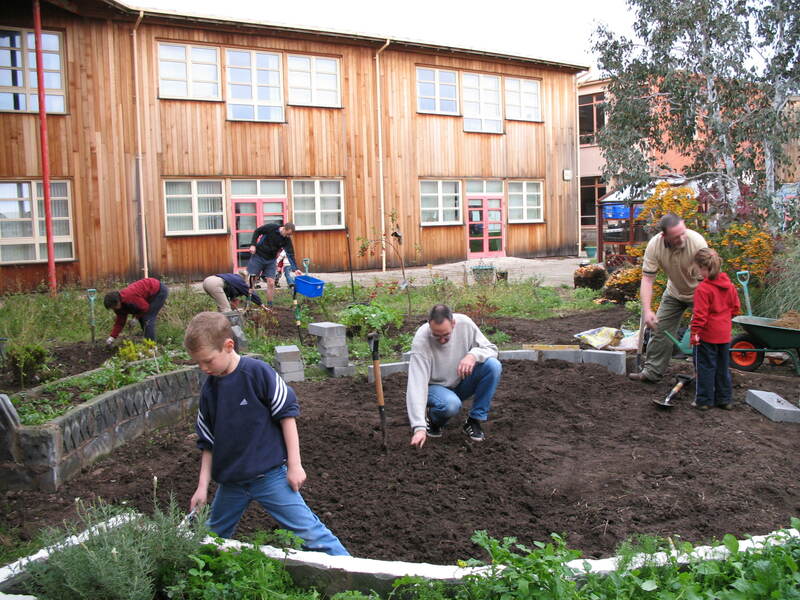 • Spring 2011: Allotments are being developed at the Grammar School and it is hoped, that as part of the transition programme, the P7 pupils from the Gardening Club could become involved, at least by visiting to follow its progress. It’s also hoped that Grammar School pupils who are part of the Duke of Edinburgh programme might also become involved in the P7 project. • June 2011: The Balfour Beatty Joinery Team at Torness cut out Lighthouses and dee Davison applied 2 coats of paint, some of which was donated by Dulux (via Gary Muirhead, a parent). 2. 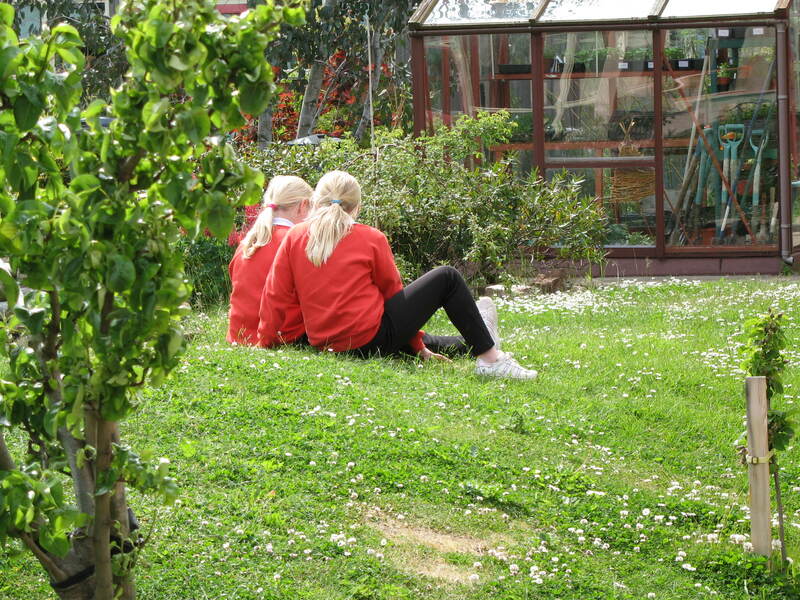 Central Garden’s 3 plots – P5 & P6 pupils 2010-2011 was the last year that P5-6 pupils were on the John Muir school campus, this area of the internal garden was their legacy to the school. • The 3 plots were weeded and where required, treated with weed killer. • The Balfour Beatty Joinery Team from Torness Power Station very kindly volunteered to undertake all the work required to renovate and restore the wooden boat. It was removed from the central garden and they provided a lorry to transport it to their workshop at Torness, where they replaced all the rotten wood, fitted a self-draining wooden floor and a detachable mast, as well as adding seating shelves around the inside edges of the boat. They also painted it blue and orange (EDF logo colours) and their sign-writer painted on the new name, chosen by the P5 and P6 pupils. The boat was returned 12 May 2011. During the next school year, pupils from throughout the school will get creative and make stunning weather-proof sails and bunting and other maritime inspired materials to decorate this area. • Coastal plants will be potted up and placed amongst the cobbles in the boat bed (maritime garden). If adequate funds are available, more cobbles and pebbles will be ordered for the boat bed (maritime garden). • Although the soil in the raised beds has good structure, it was not productive and was improved with compost and rock dust. The raised beds have been planted with a variety of vegetables and tomatoes are being grown in the greenhouse. • The third plot has been planted with giant pumpkins, giant sunflowers and wildflowers. We met with East Lothian Council’s Amenity staff (Andrew Hogarth and Gordon Whitelaw) and Biodiversity Officer (Stuart Macpherson) to discuss future planting ideas. We are considering using American prairie plants, inspired by John Muir. They have provided us with a list of herbaceous perennials, Echinacea, Rudbeckia etc., which are relatively low maintenance. In order not to block the view of the boat, dwarf varieties would be chosen. However, the longer term plan may be to allocate this bed for a new set of raised beds that could be used by P3 pupils. • The paths and area around the raised beds have been sprayed with weed killer and but need to be covered with weed suppressing membrane and fine gravel or crushed shells as the original wood chippings have rotted away. Lafarge have previously kindly offered to donate gravel and a delivery will need to be arranged. The gravel will then be tamped down. Haddington Plant Hire has kindly offered the use of a tamping machine. Andrew, Gordon and Stuart also advised us on the other work that should be undertaken in the rest of the central garden. Stuart was extremely impressed with the pond • The fruit trees will need major pruning, once the fruit has been collected and the leaves have dropped. • The planting around the pond is being weeded and thinned and some shrubs are being removed or moved. • The willow tunnel needs tying in and pruning. • Some of the well established ornamental trees and shrubs will need pruning, removal or relocation e.g. the horse chestnut was moved to the Quiet Area. Long term plans and aspirations – Second Civic Pride Fund Application (unsuccessfully submitted November 2010) • We also intend that our gardening projects in the current school will inspire the local community to become involved in designing, creating and maintaining gardens in the new P4-7 primary school campus at Hallhill. • To plant cordoned fruit trees along the south-facing sandstone wall behind the picnic tables. • To plant low-growing, mound-forming scented shrubs along some of the paths / grass edges e.g. lavender, rosemary and the Christmas box. • To plant clump forming grasses, with a variety of colours, heights and textures to create a maze-style installation. In the longer term, we would like the school to become the hub of a wider gardening community that will encourage plant and product (fruit and veg’) sharing. For example, P4-7 pupils could co-ordinate the picking of fruit from the school gardens (both campuses) and other gardens in the town. These could be used within the school (Healthy Snack and school dinners), as well as being donated to local old peoples’ homes etc. Vegetables, fruit and fruit products (jams and chutneys) could be sold to raise funds for the school. A network of keen gardeners in the town could share surplus plants, created when growing plants from seed, propagating plants, splitting plants and re-designing gardens etc. and these could be shared with other gardeners. Products such as home-generated compost as well as crops of fruit and vegetables could also be shared In a wider context, we hope that the planting that will be created by the Gardening Club pupils will inspire the wider community and encourage other groups to take on planting schemes throughout Dunbar so that our town’s annual planting can eventually be as attractive as North Berwick. Unfortunately, in January 2011, we heard that our second funding application to the Civic Pride Fund was not successful. 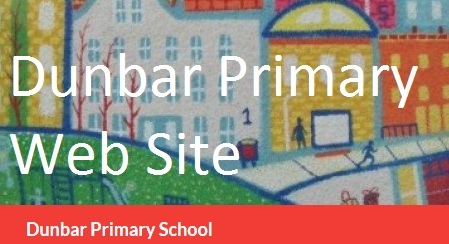 However, we are working with Sustaining Dunbar and Be Green Dunbar to explore other options for funding and hope to secure the required funds from another source, in order to undertake this work in the school year 2011-2012.